Here's how you can get around while on your Chicago adventures. The CTA is the most extensive transportation system in Chicago. Congratulations! You’ve decided to go to school in Chicago—Hog Butcher for the World, Freight Handler to the Nation, the City of Big Shoulders. World-class arts institutions, lovable (albeit mostly heartbreaking) sports teams, fine dining, concerts of every genre, side-splitting improv comedy, and much, much more are all within your reach in Chicago—you just might have to leave Hyde Park to get there. Though Hyde Park sometimes feels far removed from the rest of Chicago, don’t be fooled: it’s easy to explore other neighborhoods so long as you’re willing to break out of the Hyde Park bubble. Don’t graduate without taking advantage of everything the nation’s third-largest city has to offer—after all, you didn’t apply to the University of Hyde Park, did you? 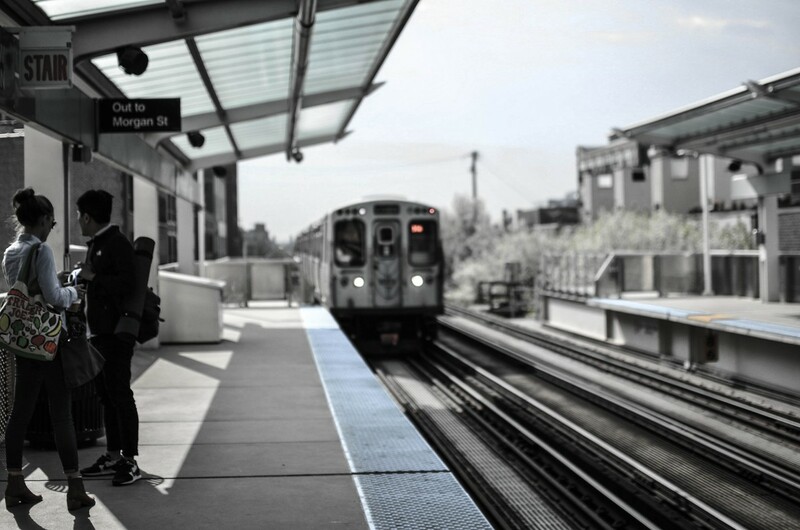 The Chicago Transit Authority (CTA) is the most extensive transportation system in Chicago. Just about any destination in the city is accessible via the CTA’s countless buses and trains. Plus, thanks to the recent implementation of U-Pass, unlimited rides on the CTA are paid for by your tuition during the school year. It’s rare that you’ll wait any longer than 20 minutes for a bus or train, but because the CTA can be notoriously late (especially the buses), it’s a good idea to get the CTA app, Transit Stop, which provides the most updated bus and train schedules. The CTA Trip Planner at TransitChicago.com is a handy site to have bookmarked, as it can assist you with directions to any destination accessible by CTA. The #6 bus is probably the most reliable way to and from the Loop. The ride from Hyde Park to downtown only takes about 20 to 30 minutes sans traffic. On weekdays at rush hour, try the #2, which runs from Hyde Park to Navy Pier. Plus, there’s also the #4, which picks up on Cottage Grove Avenue and runs alongside the west edge of campus. For the closest transfer point to a train, you can ride the #55 (picks up on 55th Street) or the #59 (picks up on 61st Street, behind Renee Granville-Grossman Commons). Both will take you to the Green and Red Lines, the closest “El” lines to campus. Plenty of exciting destinations await you on these lines: the Green Line is a straight shot to historic Bronzeville, just northwest of Hyde Park, as well as the beautiful Garfield Park Conservatory; the Red Line provides service to many a North Side neighborhood as well as both Guaranteed Rate and Wrigley Fields. Both lines stop near Chinatown and South Loop, which are both popular student haunts. If you’re trying to travel long distances in a pinch or go to the surrounding suburbs and beyond, the Metra is your friend. Metra Electric, the line serving UChicago and Hyde Park, runs along South Lake Park Avenue with stops at 51st/53rd Streets, 55th/56th/57th Streets, and 59th Street. For $3.50, it will drop you off at a handful of stops between Hyde Park and its endpoint in the Loop, Millennium Station. From there, you can transfer to other trains—that’s where the RTA Regional Trip Planner, a website similar to the CTA trip planner but for the many Metra lines, may come in handy. Plus, with increased service to Hyde Park starting this year, riding the Metra has never been so easy. One last pro-tip: a bike goes a long way, even in sprawling Chicago. With enough time (and breathable clothing), you can pedal all the way into the city via the ever-scenic Lake Shore path. Don’t feel like investing in a bike? No problem—you can rent one at the ever-proliferating Divvy stations around the neighborhood and city.